As my second official month here comes to a close, I am feeling more plunged into this experience than ever. It feels as if I have been here for a least 5 months and it is hard to believe I still have so much time here. Both September and October followed a similar pattern. The beginnings of both months were hectic, stimulating, and busy. Then followed slower periods of routine, mild loneliness, and stir-craziness. Finally, each month ended with some big traveling occasion that proved inspiring to then settle back into life in Znojmo. Maybe it is the small town bubble; or rather the being the only American in a foreign place bubble, but each of these little time periods feels like an eternity. As some of my fellow Fulbrighters and I have discussed sometimes it feels like we are living in a vacuum where every small thing feels like a huge deal. This is especially true of social interactions whether with each other or our new Czech friends. This vacuum also seems to create a lot of pressure to make the most of every experience we have and every day we are here. Even though we have a lot of time to go, I feel like I am constantly trying to figure out what the grander purpose of my time here will be. While I know this cannot be forced, it’s hard not to be acutely aware or think about how my decisions might affect the realizations I have and perceptions of my time here. 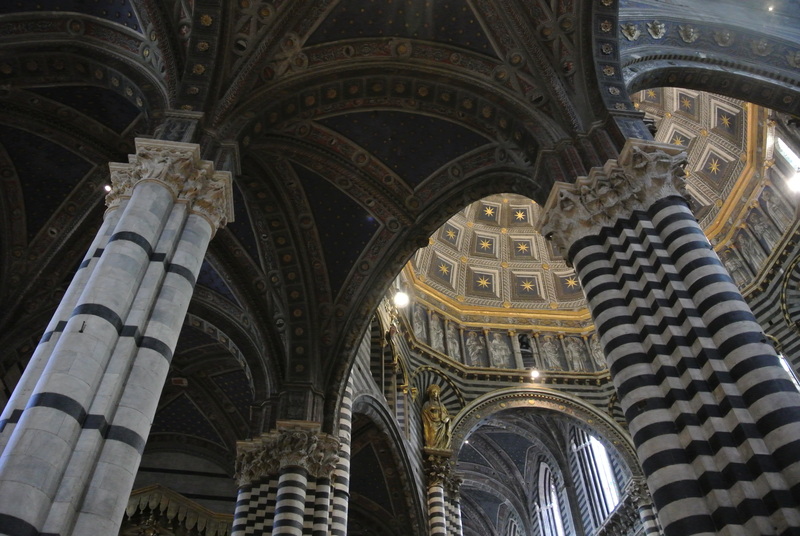 The Inside of the Duomo in Siena aka the Most Beautiful Church I’ve Ever Seen! For some lighter reflection, my travel excursion this month was to Florence, Italy (and a day trip to Siena) to visit one of my best friends from college. In all honesty, I have never had much of an interest in visiting Italy before and only traveled there once for day trips to different cities while on a family cruise vacation back in 2007. However, the five days I spent in Florence were amazing and I could definitely see myself living there! The one word I could use to describe my time in Italy was “warm.” The temperature was warm, the people were warm, the atmosphere was warm, the food was amazing, and city was beautiful. On top of eating traditional Italian things like pizza, pasta, gelato, red wine, paninis, and more gelato, I also got to eat huge meals at Mexican, Asian, and even American diner themed restaurants. The city was also a perfect size—actually similar to Prague—and with five full days I really got a feel for it. 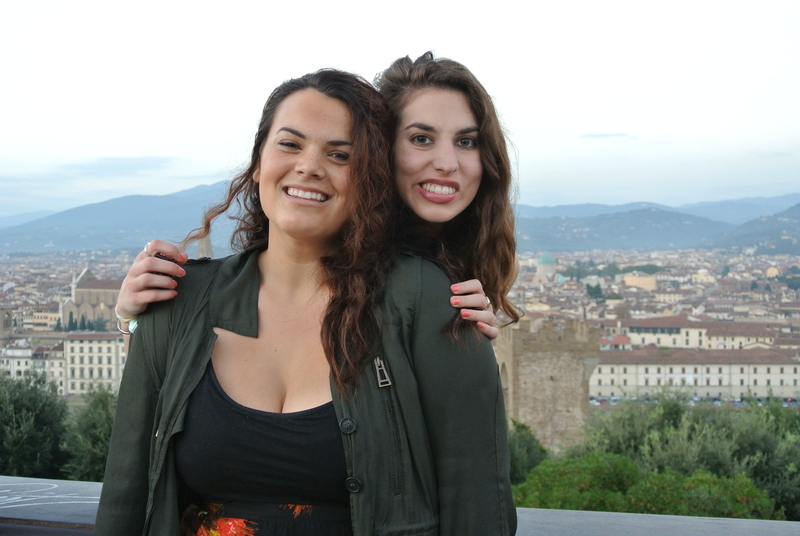 All of the museums and sightseeing in Florence was exhausting, yet extremely revitalizing. It seemed as if all my interests converged into the one city. Whether sitting on a bench staring at “David” for a full 30 minutes, seeing beautiful views from Fiesole and the top of the Duomo, or stumbling on exhibits about Ferragamo and fairytales and also the connections between borders and identity, it was impossible not to be in awe of all the culture and magic in this city. 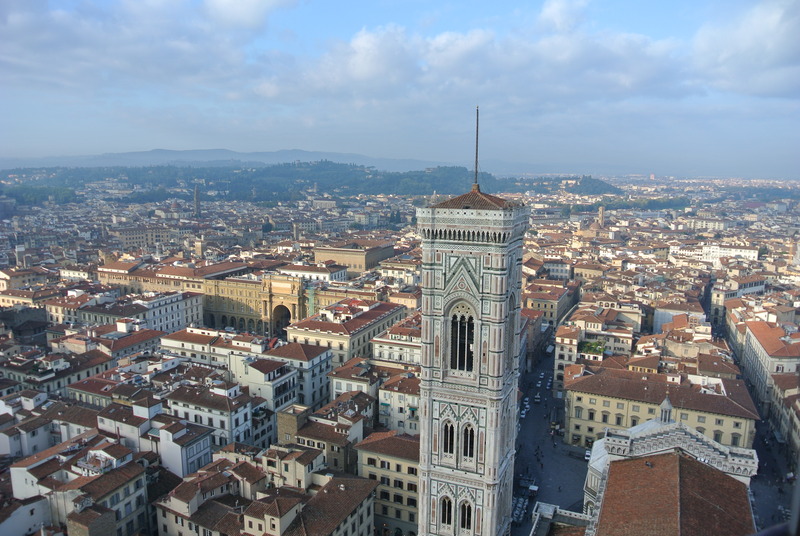 I am by no means religious, but going to the Duomo in Siena and the Santa Maria Novella in Florence were almost spiritual experiences even for me. Unlike any other churches I have visited, the frescoes and celestial themes in these churches were truly amazing. I loved all of it and having so much time to enjoy these things! Nothing compared though to being with friends. My friend I visited from college was the first person I had seen since I arrived who knew me in the United States before the fateful day of August 24, 2013. Seeing someone familiar was immensely refreshing. Two of my good Fulbright friends also came to Florence so being able to spend time with two groups of good friends in a city I had never visited before was really cool. As I settle back into Znojmo life for the month I have a feeling November and December are going to fly by. The weekends are the slowest when I do not have big plans and these next two months already seem jam-packed with upcoming things. While I know the lulls will come, one of the biggest learning experiences for me here is to learn to embrace alone time and use it to make myself better in all the little ways. Needless to say, I think one of the things I will appreciate most when I come home is having my close friends and family nearby. Until then, here’s to all the unknown big and small adventures to come. Coming up this week: a Czech birthday party and being hosted by some of my students at a local traditional village festival. Embrace spiritual experiences whenever you can. They belong to all of us – not just religious people. So happy you’re being so mindful and grateful – but also that you’re having some fun! Amazing! Luck you. Bon Voyage! Your experience is so “rich”. That is the word I used when I spoke with your mom today. I’ve always wanted to go to Italy. Someday. Previous Previous post: What is American?